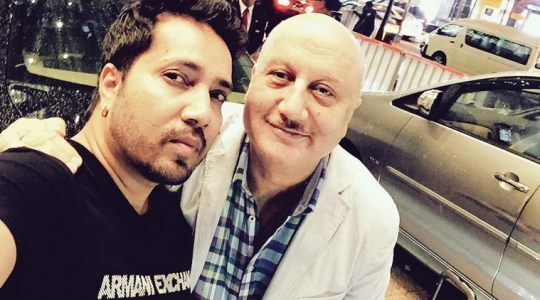 Mika Singh makes Anupam Kher nostalgic! The popular singer’s latest single Maa, which he has dedicated to his mom, has left Kher emotional and nostalgic. Mika Singh, who has a series of hit tracks under his name, has added a heart touching single to his success list. The singer, along with T-series, launched his latest single Maa, a dedication to his doting mother. The song is a beautiful melody which shows the relationship of a mother with her son. The song which was launched a few days back has garnered a lot of appreciation. Written by Gurpreet Saini and composed by Rochak Kohli, the song has been trending over the social media ever since. Everyone from Mika’s fans and his friends from the industry have been talking about the song. Anupam Kher too took to Twitter to talk about the song. He was so moved by the song that he picked the phone and called up his mother. Thank God, for a change, the singer has made tears roll down people’s cheeks for the right reasons! Vidya Balan praises the Goddesses!